Beautiful decor in shades of deep greens, representing umbrella pines in an Italian landscape at dusk. The intensity of colors and light make this setting an enigmatic landscape. 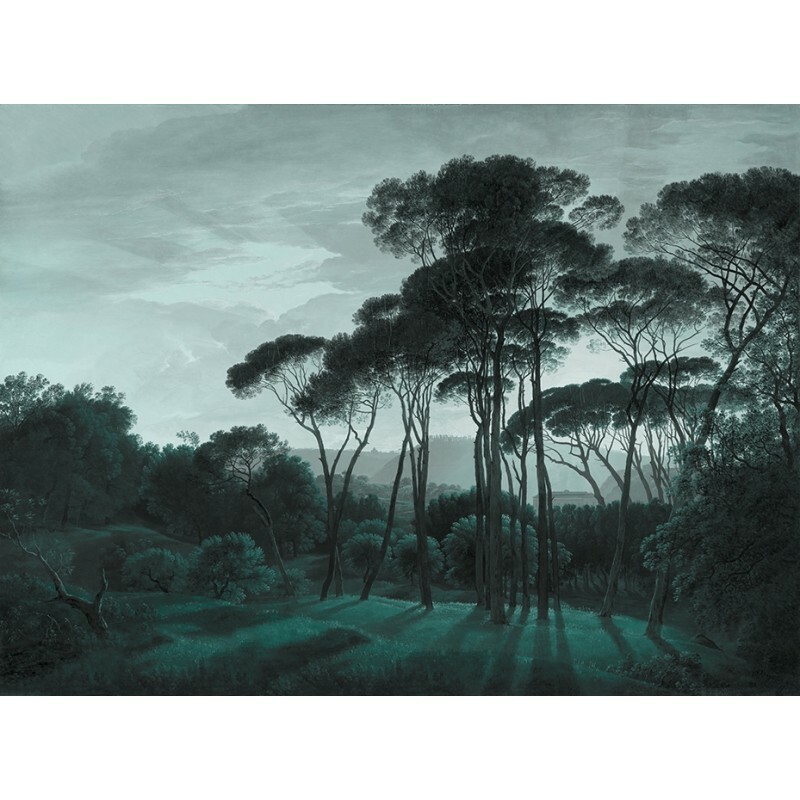 This decor is worked from a magnificent painting of the gardens of Villa Borghese and its majestic umbrella pines. The trees seem to touch the sky. In the background we see Villa Giulia and Monte Mario. 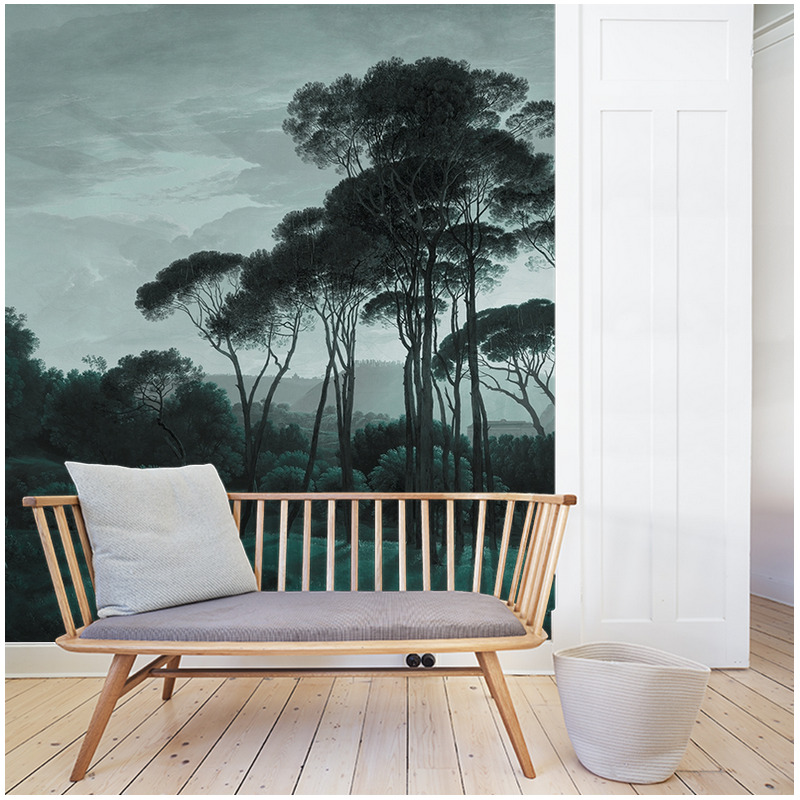 This panoramic decor perfectly resumes the impression of a painting especially with the presence of cracks as on an old painting.